Tenants’ Rights & Wrongful Eviction Attorney San Francisco CA | Bracamontes & Vlasak, P.C. San Francisco, Oakland and Berkeley have rent ordinances that protect tenants from illegal rent increases and wrongful evictions. A landlord cannot simply change the locks on you, even if you have not paid rent. The landlord must go through the eviction process, properly serve you a notice (three-day notice), and then file an unlawful detainer lawsuit. 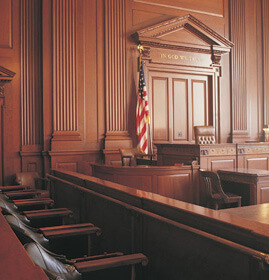 You cannot be forced out of your home unless there is a valid court judgment against you. If you have been subject to an illegal lock-out, call an experienced Bay Area tenant’s attorney at Bracamontes & Vlasak immediately. In rent controlled jurisdictions, landlords may only raise the rent the percentage allowed by the local rent board for that year. The San Francisco Rent Board has set the allowable rent increase for March 1, 2017 to February 28, 2018, at 2.2% percent. If your landlord has raised your rent beyond the allowable increase in a rent-controlled unit, your landlord may have violated the rent ordinance and you should consult a tenant’s lawyer to discuss your rights. Illegally entered your unit and recovered possession. If you have been subjected to wrongful eviction or attempted wrongful eviction by the owner or management of your rent-controlled apartment, call a Bay Area tenant’s lawyer at Bracamontes & Vlasak, P.C., today at 415.835.6777 for a free consultation. You can also reach us by completing our online contact form.